Commercial tea makers out in the market have come a long way. From the traditional stovetop kettles with red buttons, homeowners are now treated to different designs of kettles from the chic and modern to kettles that border on the wacky. It seems that there’s at least one model of kettle that can work for every personality. Since there are a number of brands and types of kettles in the market, the first time shopper will definitely find it hard looking for the best kettle. If you want to be sure in your selection, then consider some of the leading brands. 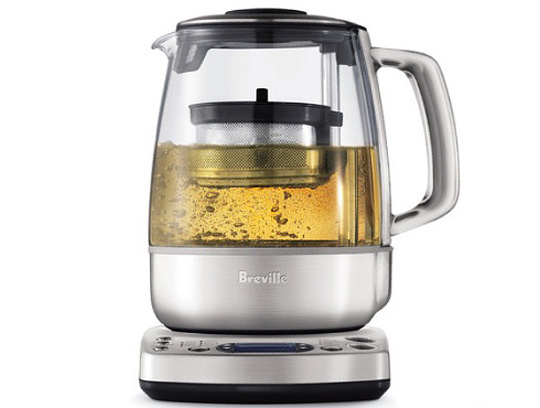 Brands like breville tea makers are considered some of the best in the market. Marketed as the ‘perfect kettle for the perfect tea’, this kettle can deliver a balanced brew for the sophisticated taste. There’s no need to worry if you are the type of person who wants to sample different tea leaves from time to time. Breville is designed to brew different tea types with precision. Breville is one of the top brands in the market for obvious reasons. With a promise to deliver the perfect cup of tea, every enthusiast and tea lover will definitely take the offer seriously. There are a number of features that help make the tea maker breville stand out in the market. For a start, the tea maker comes with the motorized basket that will lower the tea leaves into the water at the appropriate time. There are fifteen pre-programmed settings and other custom control that can brew fresh tea at different specifications. You can even program the tea maker to start brewing your favorite tea a few minutes before you get out of bed. In short, the Breville brand offers you with a completely new way of enjoying your fresh cup of tea every morning. The Breville brand comes with a comprehensive lineup of the best breville tea kettles that can suit different style preferences and budget. The three leading variants from Breville include the Breville One-Touch Tea Maker, Breville Stainless-Steel Electric Tea Maker and the Breville Variable Temperature Tea Maker. The one-touch tea maker comes with the tea basket cycle, variable temperature control and the Time Since Brew so that you can monitor its freshness. The stainless steel electric kettle offering of Breville is best for modern homes thanks to the use of the premium stainless steel material with a blue backlight that adds style to the product. The variable temperature model of Breville allows you to brew the perfect cup of tea at the right temperature settings. All these models promote the main objective of Breville to provide a different kind of tea experience for all tea and coffee enthusiasts. Find A Great Deal On The Best Selling Breville Tea Makers Right Now!